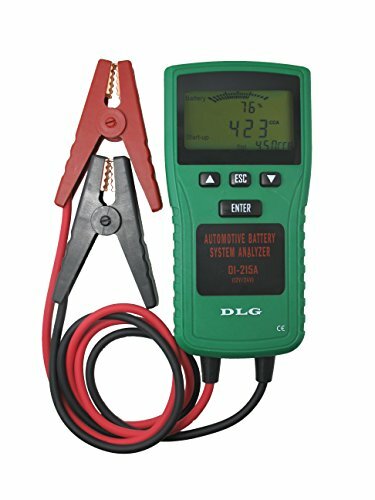 View More In Battery Testers. This is a professional tester extremely designed for 12V and 24V lead-acid storage battery within the process of vehicle starting up, charging, and electrical loading. With great design, easy operation, precise reading, complete functions, this tester supplies the readings by a large LCD and hints by sound and light when testing. Precise circuit and strong digital processing unit make it complete collection of a series of complicated data and figure out every test data, which availably by 4-wire Kelvin test connection. Besides it strengthens input protection inside , in order to prevent such situations as polar reversal connection , over-high voltage input, poor contact of the test clamps and so on. That makes sure safer and more convenient when testing. This tester is the best tool for battery sales, vehicle repair and condition check of all kinds of lead-acid batteries that used in equipment system associated with lead-acid battery. If you have any questions about this product by DLG, contact us by completing and submitting the form below. If you are looking for a specif part number, please include it with your message.